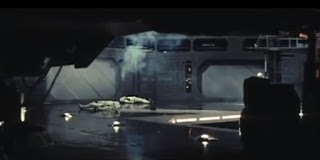 STAR WARS AFICIONADO WEBSITE: 'STAR WARS' AT 40: DOCKING BAY BATTLE! 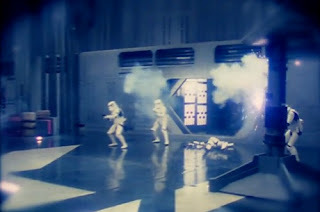 Hearing Luke's shocked cry, the five Stormtroopers guarding the hangar soon turn to face their escaping opponents, as a short but memorable battle ensues before our heroes- including Luke aided by the mysterious voice of Obi-Wan - depart the Death Star at full speed. 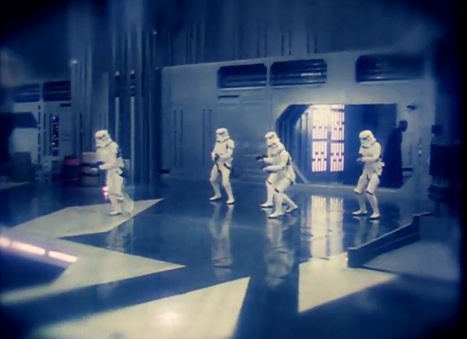 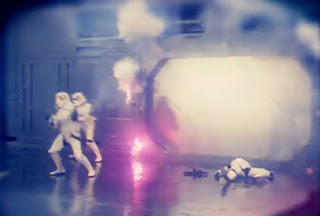 According to the daily filming report, the production's regular stuntman Reg Harding was the first Stormtrooper to be hit by Luke's blaster, falling down the shaft onto protective bags. Peter Diamond also played a Stormtrooper for filming on the 28th May, whilst Second Unit handled material on June 1st, 1976, which also included stuntman Colin Skeaping. Dave Prowse played Darth Vader for this sequence, though the insert shot of his treading on Obi-Wan's cloak was captured via Second Unit with Moray Bush (later to become Dengar in THE EMPIRE STRIKES BACK) apparently in the Dark Lord's costume lower half. 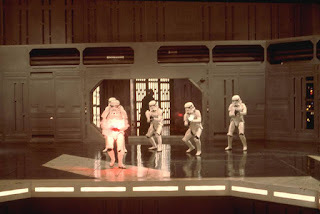 On screen in a distant shot, as Vader calls for reinforcements, his lightsaber was never red rotoscope animated in the original theatrical version, though this was later revised for the 2004 DVD release of the film's Special Edition. 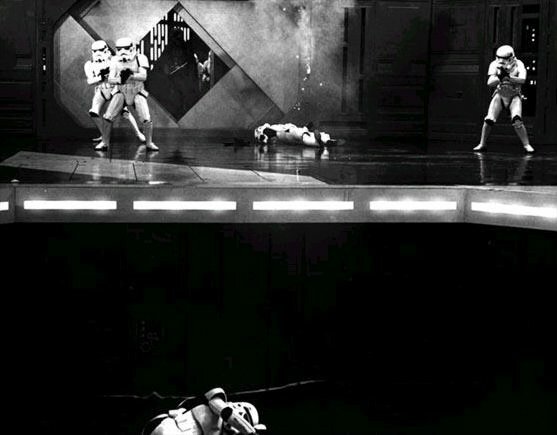 Below are various outtake screen grabs captured from several angles, presumably from the Second Unit filming.